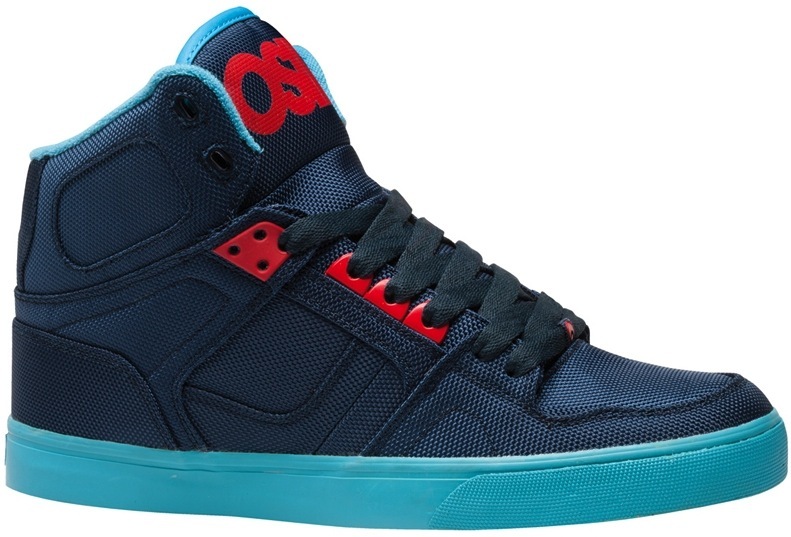 Osiris NYC 83 VLC has at least one Vegan colorway (waiting to hear back on others) this season. The retro inspired high-top is constructed of abrasion resistant ballistic nylon. Similar to those fancy messenger bags that were all the rage back in the day. The lining of the shoe is different from past seasons with a terry-cloth material (sort of like a soft hand towel) and the vulcanized soles are Osiris’s new “cold-vulc” technology which should provide longer wear and better board feel.